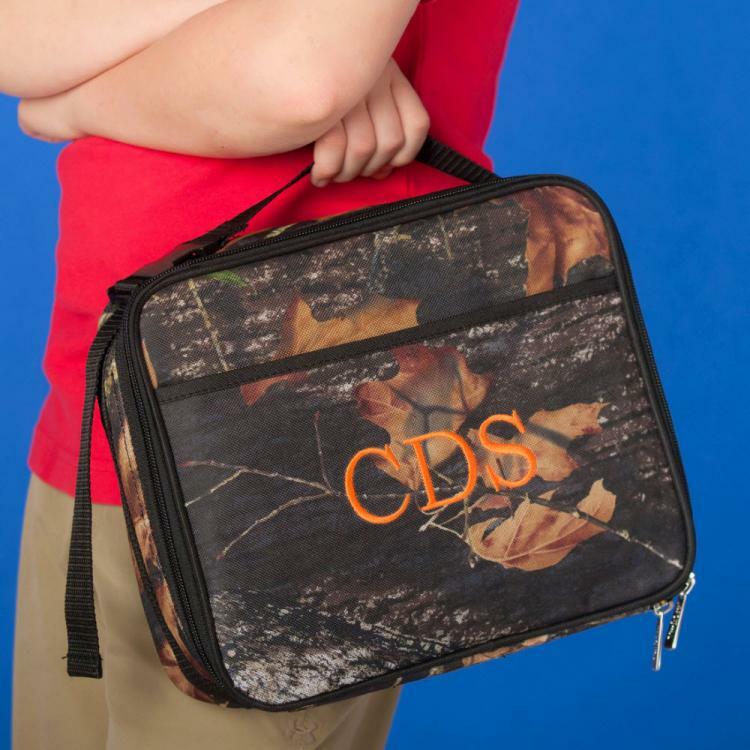 No explorer will be without their rations when they have this Personalized Woods Camouflage Lunch Box packed with lunch and snacks. It is important for adventurers to stay nourished and will be no problem having enough with this extra-roomy bag designed to keep cold things chilled and all things fresh. 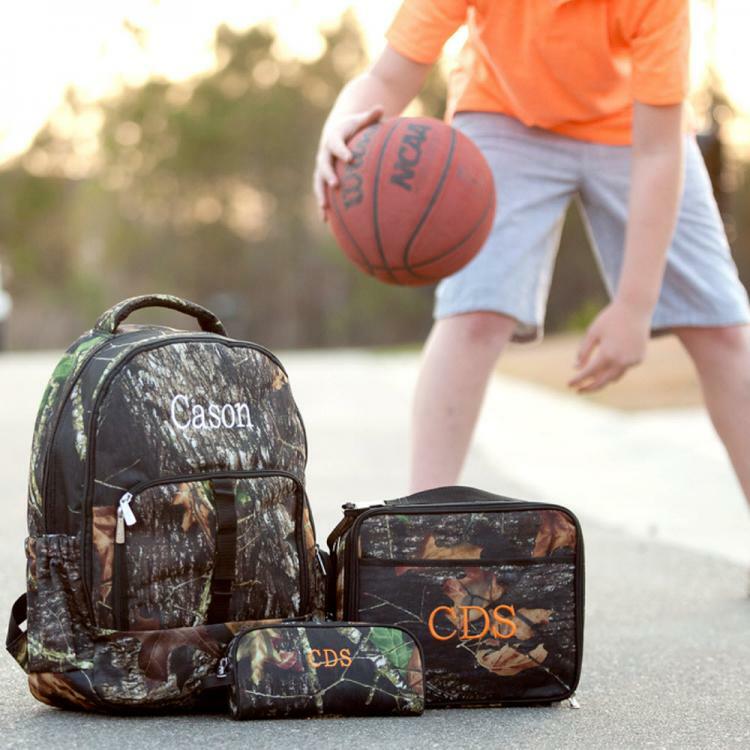 The well-insulated interior and handy exterior pockets keep snacks and sandwiches as you want them and utensils all easily accessible. It also easily attaches to a backpack for hands-free convenience. 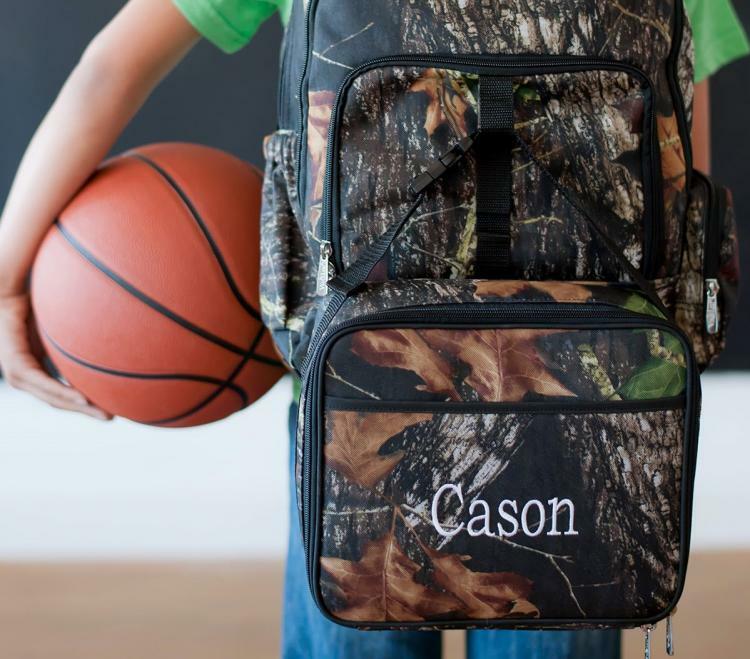 As part of our back to school collection designed with fun and functionality in mind, you will find this matches other items of the same pattern for a complete cheerfully organized set.